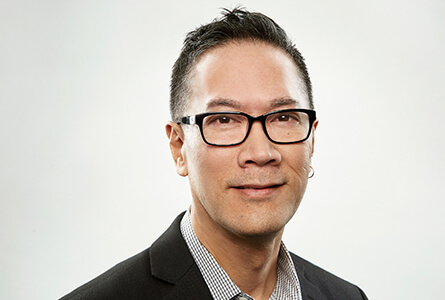 Russell Miyaki, Senior Vice President, Creative Services leads TMP’s global team of creative and brand development professionals. Russell, a hands-on creative, takes his renowned talents to lead TMP into the next generation of digital, social and mobile solutions for our global clients. His vision, passion and unparalleled commitment to innovation is the driving force behind TMP’s current and future creative offerings. Before his current role, Russell was the Vice President, National Digital Creative Director leading the development and creation of innovative and groundbreaking initiatives for clients. Considered one of TMP’s prized visionaries, he is the founder and co-leader of the company’s think tank known as TMP Labs, which helps the company stay at the forefront of new media solutions and talent acquisition trend indicators. Working for a company that embraces change, Russell is always thinking five steps ahead of what clients need and is committed to consistently delivering outstanding work. A student of fine arts and advertising design at The Art Institute of Colorado, he thrives in TMP’s diversified and progressive culture.